There are over 100 wineries in Santa Barbara County, producing over 55 different grape varieties. The seductive maritime influence of ocean breeze and fog combine with the coastal mountains to create many different micro-climates. There were four official appellations; with the new AVA Ballard Canyon, there are now five federally sanctioned AVAs within Santa Barbara County. The region excels at producing superior Pinot Noir and Chardonnay. Head to the California Wine Festival in scenic Santa Barbara where you can taste 300 different wines and listen to live music from July 17-19, 2014! Head to downtown Santa Barbara and trek along the Urban Wine Trail. Follow Miles and Jack‘s merry adventures in Sideways, the 2004 Oscar®-winning film shot in Santa Barbara wine country. The Lompoc Wine Ghetto’s collection of small-production wineries have expanded their tasting rooms. Click to view a Lompoc Wine Ghetto Map. 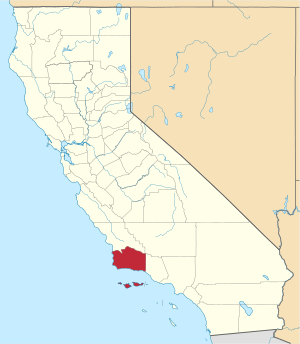 Some of the official Santa Barbara appellations include: Happy Canyon of Santa Barbara, Santa Maria Valley, Santa Ynez Valley, Ballard Canyon and Santa Rita Hills. Many producers from outside Santa Barbara County contract fruit from this appellation for their own wine production. Within the broad Santa Barbara County designation, there are several other micro-regions: the Los Alamos Valley region, Ballard Canyon, the Los Olivos District and Santa Maria. Savor some of the world-class wines from the Central Coast premier wineries at the California Wine Festival in Santa Barbara. 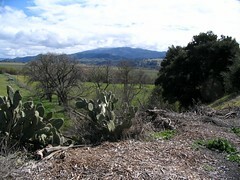 The unique east-west orientation of the coastal mountains in Santa Barbara County allows the maritime influencers of fog and ocean breezes to flow over much of the wine region. This romantic evening of rare wine tasting begins with a champagne reception under the stars at Santa Barbara’s charming old-world carousel at Chase Palm Park Plaza. Extremely limited reserve level wines are matched with gourmet appetizers from top local chefs, artisan cheeses and gourmet chocolates and truffles while live bluesy jazz keeps things super cool. Ticket price includes all wine and food samples and an 18 oz keepsake wine glass. Hit the grassy, palm-lined Chase Palm Park to experience the quintessential California wine tasting event at the 11th Annual California Wine Festival grand finale. Indulge in this heady, summertime ‘right of pleasure’ and join the afternoon-long celebration — Unlimited tasting of fine wine & foods, plus sun, sea and music. Sip hundreds of vintage California wines, sample dozens of hot and cold gourmet appetizers, artisan breads and cheeses, fresh cut fruits, and for a change of taste, sample local and regional craft brews too. Ticket price includes all wine and food samples and an 18 oz keepsake wine glass. In addition to the “Every Cork Wins” drawing, you can also enter a chance to win a Magmum bottle of wine from Melville when you buy a new Museum Membership at the festival.